In 2013, hundreds of mistreated animals were found trapped in an 800 square foot Tai Kok Tsui flat filled with their urine and faeces. 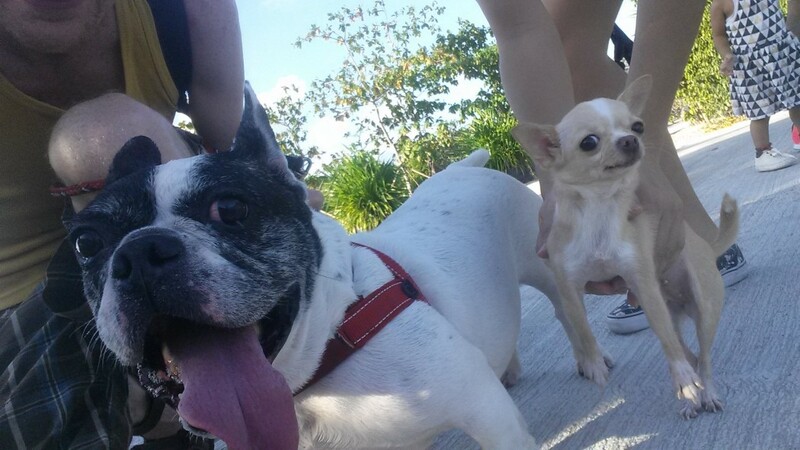 Mysterious dog poisonings along Bowen Road have baffled pet owners for over two decades. Hundreds of animals are tortured to death every year in Hong Kong and stray animals are routinely put down by the Agriculture, Fisheries and Conservation Department. Just last month a small cat was found abandoned in a cage in Sheung Shui, with duct tape tightly wrapped round its belly. For a city that is quick to condemn instances of human rights abuse, the tolerance and indifference towards animal rights abuse in Hong Kong is alarming. For years, campaigners have decried the sorry state of animal rights in the city, but progress has been slow on all fronts. The majority of animal abuse cases in Hong Kong are unnoticed or, worse, ignored. Even when the cases are brought to court, the results are often disappointing. From the moment the case is reported to its final resolution in the courtroom, the current system is riddled with hurdles and hindrances. A dog at SPCA. Photo: SPCA via Facebook. “If you just keep a dog on a roof without companionship, or in a flat with no exercise, under the current law the police are unlikely to prosecute as there is no actual evidence the dog has suffered. Even if it is deprived of water, the courts have sometimes still found no evidence of animal abuse as suffering must be proved beyond all reasonable doubt, so the court would need evidence the dog was not only dehydrated but had actually suffered. Other experts in the field, however, believe that the real problems are the courts’ sentencing and law enforcement, rather than the law itself. 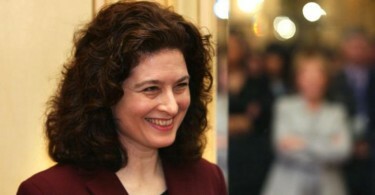 “The mechanism for dealing with animal rights cases from a legal perspective is actually quite comprehensive, because there is a clear [piece of legislation] – the Prevention of Cruelty to Animals Ordinance, and the maximum sentence cannot be said to be light – up to three years’ imprisonment and a $200,000 fine. 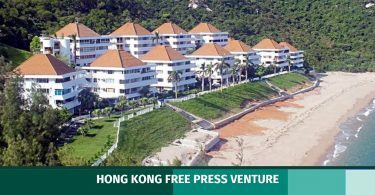 Of course, from an animal rights perspective, the heavier the sentence is, the better, but compared with other countries, we are not doing too poorly,” said Mark Mak, Director of Non-Profit making Veterinary Service Society. Mark Mak, Director of NPV. 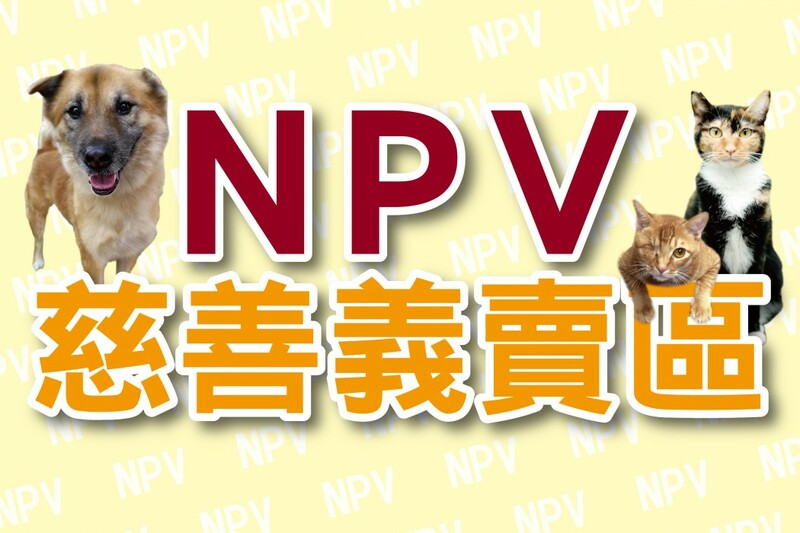 Photo: NPV. But just how heavy are the sentences that the court actually gives out? “Three years ago someone set a dog on fire, and if I recall correctly, the sentence was still under a year – I think around six to eight months. When the judge gave his verdict, he said in the judgment that this was the cruelest case he has seen.” Mark explained that due to the doctrine of binding precedents in law, this would mean that even later cases which are extremely cruel may only similarly fetch a sentence of less than a year. In 2014, a court sentenced two men who had kicked a cat to death to 16 months in prison, the longest jail sentence for cruelty to animals ever handed down in the city. However, on appeal, one defendant managed to clear his name and the other’s sentence was reduced to 12 months. “Even for cases like this that shook the city, the sentence handed out [is just] a third of the maximum sentence. It doesn’t have a very strong deterrent effect,” Mak said. The Non-Profit making Veterinary Service Society. Photo: NPV. Although the courts’ sentencing leaves much to be desired, there are other more pressing concerns. Mak said that most cases do not even make it past the frontline policemen, let alone all the way to court. When the animal abuse case does get through to the CID though, Mak says that, to be fair, their performance is acceptable, and that they do put in effort. He also admits that it is difficult to investigate animal abuse cases. “For example, animals can’t speak,” he said. 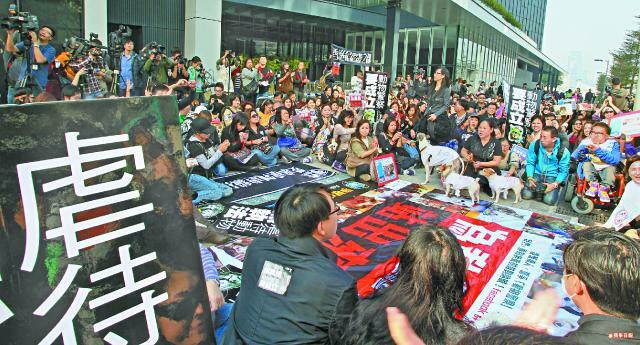 A protest calling for the setting up of animal police in 2013. Photo: Apple Daily. To solve the problem of law enforcement in animal abuse cases, Mak said that there should be “animal cops.” In 2013, thousands of animal rights supporters took to the streets, demanding that an animal police squad be set up. They also asked the then-Commissioner of Police Tsang Wai-hung to step down after he said that there were not enough resources to do so. Things may be looking up; in November, the Legislative Council Panel on Food Safety and Environmental Hygiene passed a motion calling for the setting up of a committee for animal rights in an effort to tackle the issue of animal abuse. 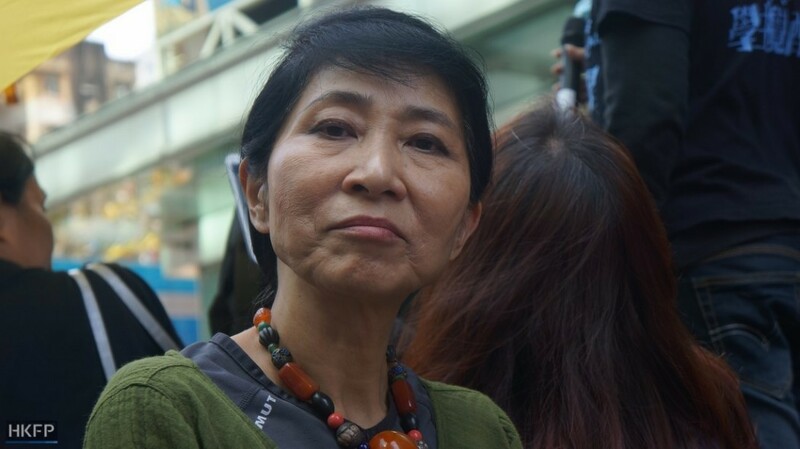 The Civic Party’s Claudia Mo, who raised the motion, said that one of the committee’s first priorities would be looking into the establishment of an animal police squad. But it may be too early to celebrate; despite the passing of the motion, Mo said that it will only be known around January next year whether the committee would become a reality. An existing committee would first have to disband due to the limit on the number of subcommittees that can be formed under the panel. Meanwhile, more challenges lie ahead for animal rights campaigners. One of them is the proposed Cap 139B, a piece of legislation which, if passed, would make it legal for any Hong Kong citizens to set up a private animal breeding business, so long as they have a licence. “[The Agriculture, Fisheries and Conservation Department] said that the law would make it easier to regulate the business. But if it’s not good for Hong Kong and the animals, why would you want to legalise it and even issue licences for it, making it a legitimate business? Just the underlying principles [of the law] are wrong. Also, from a technical perspective, have you thought about how many people would apply for it, given how profitable the business would be? They’re proposing for the licence application fee to just be around HK$2,000. Who’s going to inspect and regulate the operation of the licence?” Mak asked. 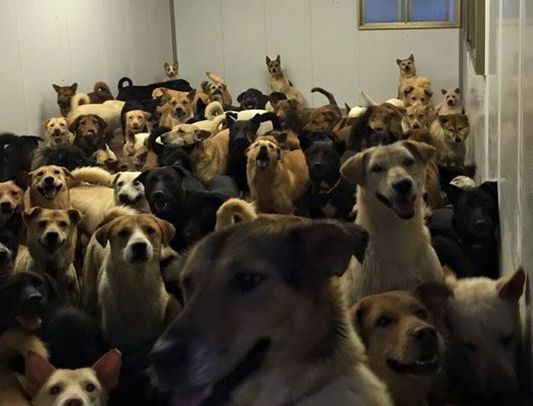 Hong Kong Homeless Dog Shelter. Photo: HKHDS. 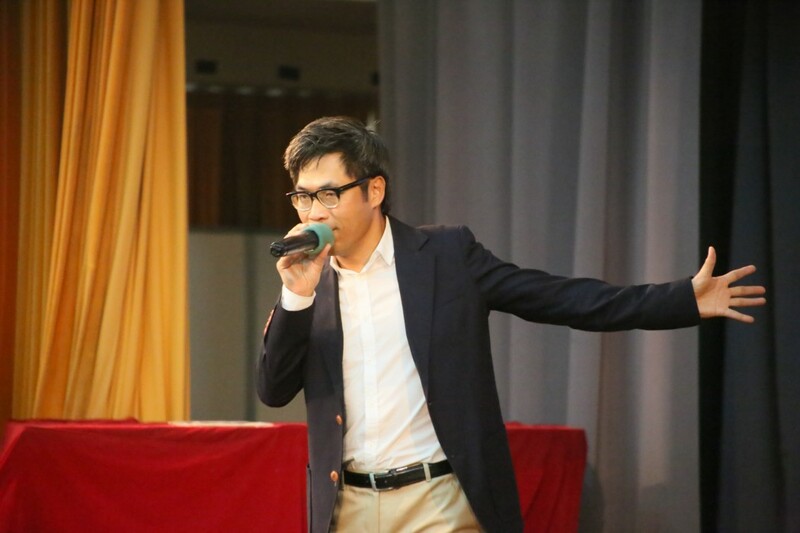 The battle for better animal rights protection in the Legislative Council and the courtroom will go on, but in the meantime, what are some things the community can do to help? Well, showing more tolerance and kindness towards stray animals is one. In nine of out of ten cases, stray animals that are reported to the Agriculture, Fisheries and Conservation Department get put down. 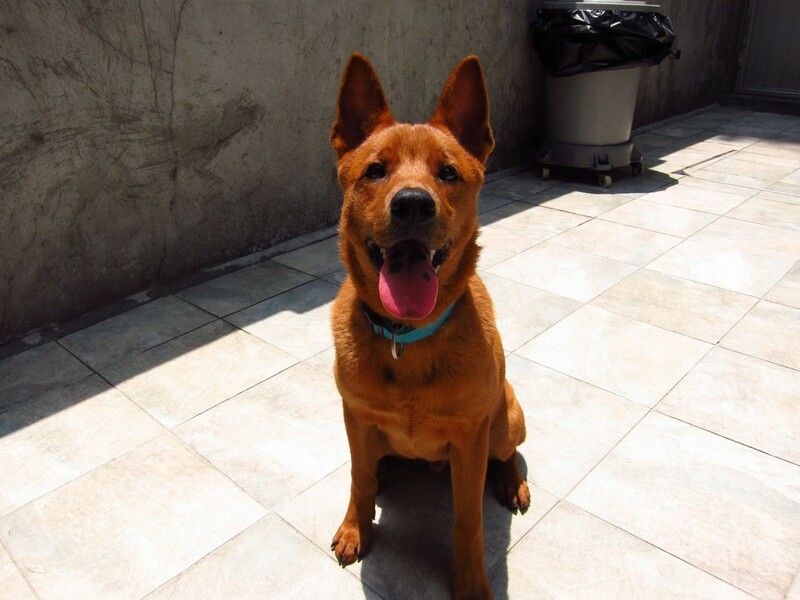 When animal lovers find stray animals on the street, Mark Mak said that the animals should be left alone.